This is VERY SPECIAL, FANTASTICALLY ATTRACTIVE and ABSOLUTE HOT SELLER LUCKY CAT Carving. 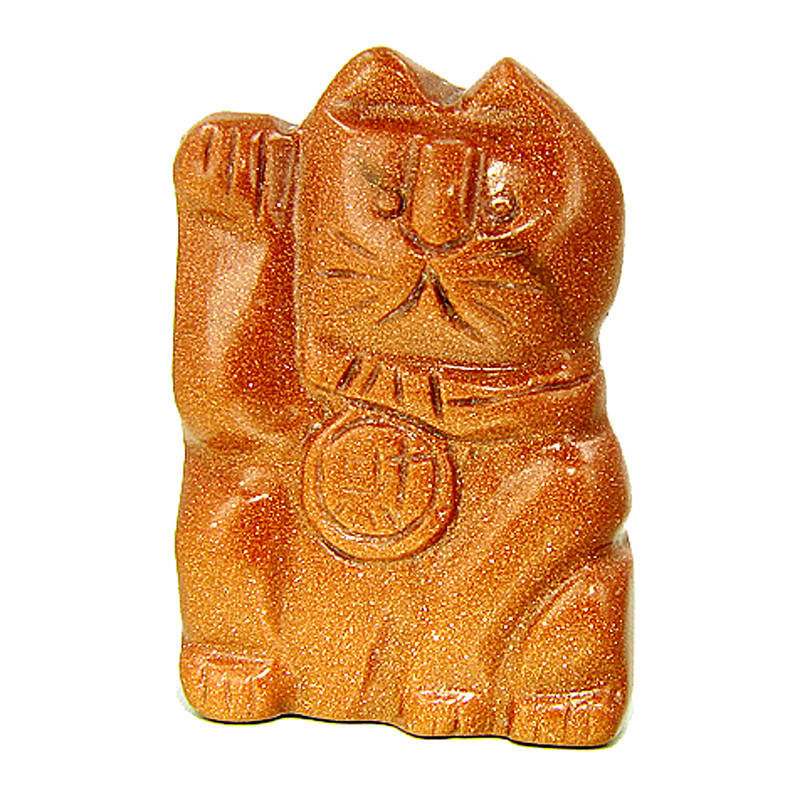 This Gemstone LUCKY CAT is HAND Made. It is carved from Genuine and Natural GOLDSTONE. This LUCKY Figurine is GOOD LUCK TALISMAN and Brings Good Luck Powers in Every Step of the Way. This Carving is Very Special in Protecting YOU and Your GOOD Luck Spirit. It Pushes Away Negative Energies and Attracts Natural Powers of Good Luck and Protection. Lucky Cat Myth and Legend This Lucky Cat Symbol represents GOOD LUCK in Many Aspects of Peoples Life especially in Business and Money Involved Situations. It may be seen in Many Business Places. One of the Paws is up welcoming all Business to come in. The Lucky Coin Represents Wealth, Fortune and Prosperity. See Alternative View for More Details.